Molly Sumbuk was admitted to practice law in 2010 and commenced employment with Young & Williams Lawyers in 2015. Molly works under the supervision of Gregory J. Sheppard, OBE, CSM. She is involved in both the civil and criminal litigation that the firm undertakes and regularly appears in the National and Supreme Court. Prior to joining Young & Williams, Molly worked firstly as a Senior Legal Officer in the Office of the Solicitor General and later worked in political affairs with the British High Commission. 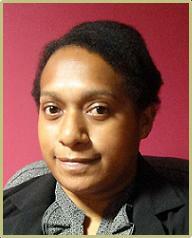 Kylie Najike was admitted to practice law in Papua New Guinea in 2011and commenced employment with Young & Williams Lawyers in 2012. She is currently working as a junior lawyer in various litigation matters under the supervision of Gregory J. Sheppard, OBE, CSM and the mentorship of Francis Griffin. 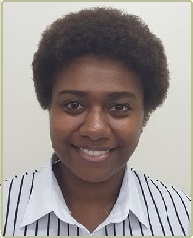 Oala Moi was admitted to practice law in Papua New Guinea in 2017. 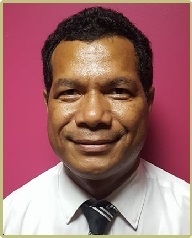 He commenced employment with Young & Williams Lawyers shortly before admission. He currently works as a junior lawyer in various litigation matters under the supervision of Gregory J. Sheppard, OBE, CSM and Phillip Tabuchi. 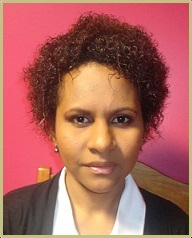 Laura was admitted to practice law in Papua New Guinea in 2018. Whilst undergoing training for admission at the Legal Training Institute, Laura undertook work briefly at Young & Williams as an intern. Upon admission, Laura joined the firm in a full time capacity as a junior lawyer. Since first starting at Young & Williams, Laura assisted in various litigation matters that the firm was engaged in and following admission, has been and continues to be exposed to and assists on matters involving contract and company law, family and matrimonial law, general civil and personal injuries claims, administrative and public law, election petitions and reviews, and criminal law. Laura assists and reports to the Managing Partner, Greg Sheppard, Geoff Purvey and Phillip Tabuchi.